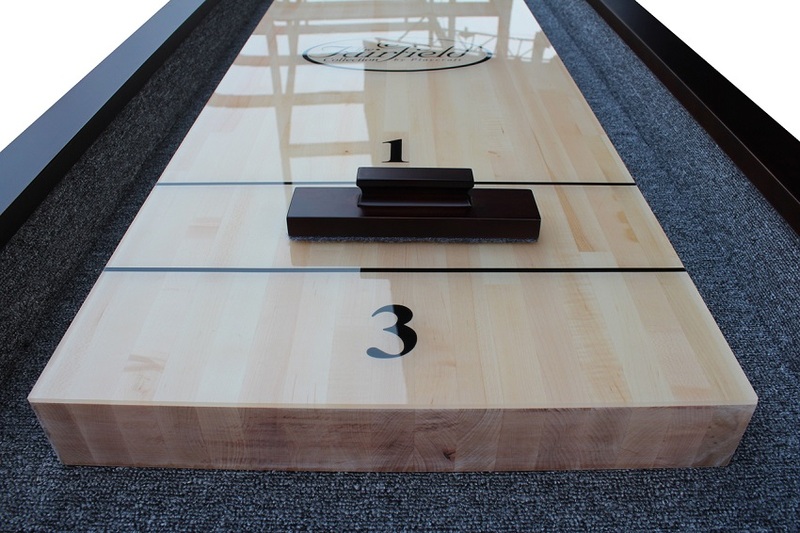 Part of the new Fairfield collection, the St Lawrence shuffleboard table is helping to redefine expectations. Made from select hardwoods and precision machined components, the St Lawrence is engineered for a quality assembly and a lifetime of reliable play. All components assemble via machined bolts and inserts. 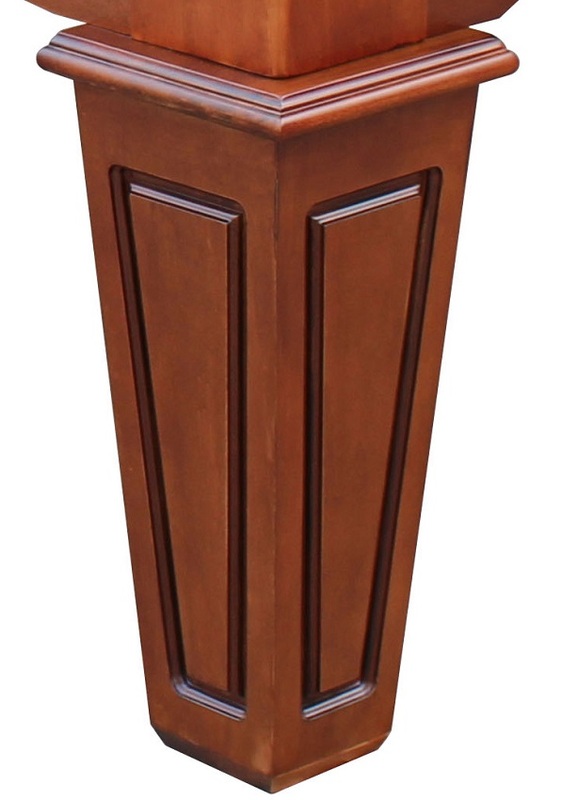 The playfield is true vertical stave butcher block made from Canadian maple with a poured polymer surface. Markings are traditional 1-2-3 and table lengths are 12', 14' or 16'. Available in a chestnut or espresso finish, both stains are hand applied for a beautiful result. Precision carvings of table details match the available companion pool tables creating the option for a beautifully matched game room.